Select Size Small, 25"-30" Medium, 30"-35" Large, 35"-40" X-large, 40"-45"
We have taken the newest woven MultiCam webbing to develop our newest belt. The name says it, the finest belt you can buy on the market. Once again our groundbreaking design goes where others haven’t. We replaced the standard parachute hardware that rusts with an aluminum COBRA® buckle by AUSTRIALPIN™. We then remove the parachute v-ring and make a sewn in attachment point. The belt in constructed with double layered, resin treated webbing and the entire belt is 7 Class sewn throughout, not with #69 threads, as most on the market are. We go even further and extend the 7 Class sewing past the standard WW stitch, 4 rows down the entire length of the belt. This gives us an extremely stiff belt that doesn’t roll when sub loads are mounted to it. The new standard for what an Operator’s belt should be. Made with all high quality Mil-Spec materials. Please note variations are possible on the color of the COBRA® buckle by AUSTRIALPIN™. How to determine your belt size: the 215 Gear belt sizes are determined by the inner circumference of the belt. 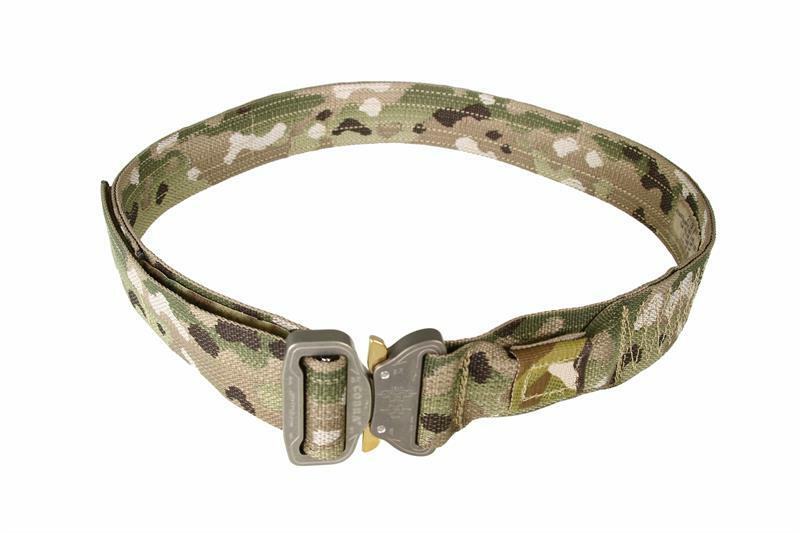 At the largest size there is a 6 inch overlap to prevent it from feeding back through the buckle. To determine your size we recommend you put on the clothing and or equipment you will wear the belt with and measure through the belt loops all the way around. If you are using this belt with a concealed weapon holster consider that for sizing as well. *For best wear be sure to rinse all gear that is exposed to salt water with fresh water as soon as possible. Anodizing is an extremely complex procedure affected by a large number of ever changing inputs and variables, and these parts may be prone to slight tonal mismatches. All buckles have passed QA. This does not effect the quality of the product.